Mapping the Way has two exhibits that are available for short and long term loans. If you would like to loan the exhibit for a meeting, conference, course or display, please contact us. 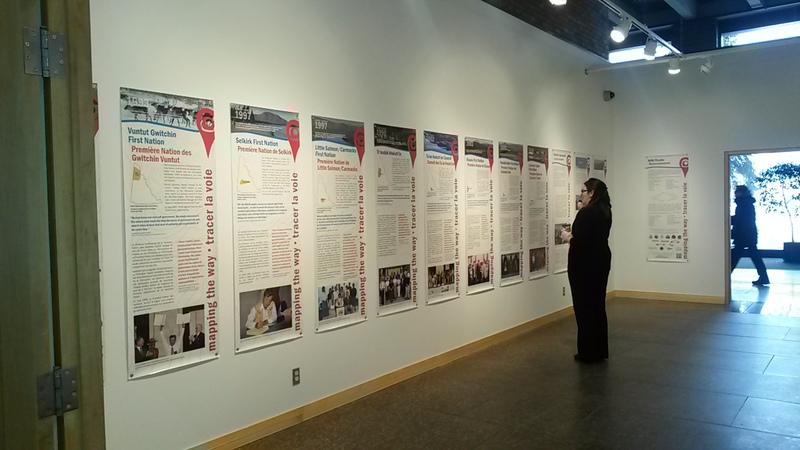 Both exhibits give a brief history of Yukon First Nation land claims and self-government including a timeline beginning in the early 1900s, including Together Today for Our Children Tomorrow, and the Umbrella Final Agreement. The short version is available for short or medium term loans, depending on demand. The full version is available for long-term loans (2 months +) and permanent displays may also be considered.